• Oregon’s population is 672,765. • Marion H. Wampler stocks rainbow trout in Fourmile Lake. • H.D. Mortenson inaugurates the Pelican Bay Lumber Company in Rocky Point, Mortenson had helped the Southern Pacific Railroad route through Klamath Falls. • Anton Wickstrom and John Linman build the Modoc, a 16′ x 60′ tugboat to serve the lumber industry. • Steamboat Klamath moved by rail to Upper Klamath Lake. • Influential citizen again applies for “frolicking ground for goats” in Rocky Point area. • Ex- Mayor of Klamath Falls builds $4,000 mansion on Crystal Creek. • July 7, construction on White Pelican begins. J.L. Cunningham was the contractor. • Klamath Development Company headquarters built at Main and Broad Streets. • Ranger Neff and Scaler McKay survey lots of summer homes north of Rocky Point – suggested by S.A. Nye of Medford – 10 lots rented in one day. • The Moore brothers acquired all holdings of the Klamath Falls Light and Water Company and then sold it to Siskiyou Electric Power and Light. • Wolford and Wann bought out R. Spink and moved Klamath Agency store to Sprague River. • Homesteading in Rocky Point. • Oak and hickory trees planted, or seeded, at Odessa. • Doctor F.M. White, son of G.W. White, closes his practice in Klamath Falls. • Water from springs was piped into Klamath Agency homes. Hot water and bathroom fixtures were installed. • Forest Service timber sale awarded to Pelican Bay Lumber Company. • Pelican Cut, between Odessa Creek and Harriman Creek, dredged for Pelican Bay Lumber Company operations. 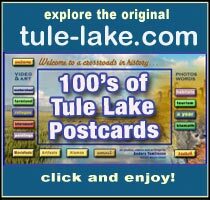 • Eleven steamboats in operation on Upper Klamath Lake through 1914. • Track from Butte Falls to Willow Creek Summit is laid. Construction to Fort Klamath and Klamath Falls was never completed to the recession of 1910 and, later, World War I. • The Butte Falls and Western Railroad is incorporated. • November 15, the first Pacific and Eastern train reaches Butte Falls, with plans for connections from Butte Falls to Salt Lake City. • Winter – Temperatures reached -17 degrees at Odessa. • April, Baldwin Hotel opens with 65 rooms. • May, first paving bonds in Klamath Falls. Three contractors install the first cement walks along the northside of Main Street, between Fifth and Sixth Streets. 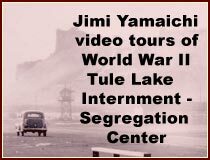 • July 20, eight men tour from Klamath Falls via automobile. The 60 mile trip consumes forty gallons of gasoline and two gallons of oil. • August, author Jack London visits Crater Lake. • November, George H. Freese is president of the first Ministerial Association in Klamath Falls. Oakland, and San Diego banks added together. • Large scale logging begins on Williamson River. • Rose Poole homesteads in Rocky Point. • The Klamath County Bank merges with First National Bank and Mr. Martin became bank president and his son was cashier and Mr. Reams was a bank director. • C.Y., or K.P., Hamilton has a home on Buck Island. (1911-1912). • The Express newspaper was purchased by A.C. Wrenn and renamed Pioneer Press. • Mr. Houston owns the Houston Opera House, the Temple Theater at the IOOF Building, the Star Theater and the Merrill Opera House. Movies cost ten cents. • Wharf and storehouse added to Rocky Point Resort. • Clear Lake National Wildlife Refuge, in California on the California – Oregon border, is established. • Automobiles are driven on newly paved streets in Klamath Falls. • Southern Pacific Railroad extended the line through Chiloquin and established a depot and ticket office. • The Pacific Highway Association kindles interest in a paved Pacific highway through Oregon. • The Samaritan Hospital opens in Klamath Falls. • November, the County home on Summers Lane opens. • December 2, the White Pelican Hotel is formally christened. It is one of the finest hostelries on the pacific coast. • The 790 feet wide by 33 feet high earth and rock filled Clear Lake Dam is completed. The reservoir had a two fold purpose: irrigate Yonna and Langell Valleys and hold backwater from Tule Lake. Excess flow from here could now be sent down the Klamath River through the Lost River Diversion Canal. Pre-project this water would go into Tule Lake. • 562 acres sold to W.P. Johnson of the Klamath Development Company, including Pelican Bay Lodge and Point Comfort site. • Klamath Reclamation Project begins experimental farms in drained Tule Lake marshes. • March, “Cap” Collier begins logging operations in the Swan lake area. Some of his mill’s white pine products are used in the White House in Washington D.C. as door and window moulding. • March, logging operations at Pelican Bay Lumber Co. consists of 80 men in the woods, 1 railroad engine, 16 logging cars, a McGiffert loader, and the steamer Klamath. • April 22, Wood River Valley Cream and Butter Association incorporates. Fort Klamath Community Methodist Church is built. • Sam Evans started the Northwestern newspaper and it had a stormy history. • Robert Spink bought the allotment of Jane Hoover, 160 acres, and moved the resort to is own land and enlarged it. This was the first purchase of land by a white person on Spring Creek. The Blairs and Hoover were two Indian famalies that owned the land at the source and both sides of Spring Creek. down to its mouth. Spink would eventually own 520 acres along Spring Creek. • Five million Americans each day attend a movie for entertainment. • Post office opens in Chiloquin. • July 4, White Pelican to be used as W.P. Johnson’s personal boat. • July 26, Judge Worden breaks ground for County Courthouse at Hot Springs. • Klamath Fall’s poulation is 6,000. • There are three daily Klamath fall’s newspapers: Evening Herald, Murray’s Evening Chronicle and Pioneer Press. • First Brown family sawmill on the west side of Upper Klamath Lake begins operation (1912-1914). • New stockyards are nearly completed at Crater lake Junction, replacing the small corral at the passenger depot. • August 20, Railroad depot built in Chiloquin. Trains to run twice daily between Klamath Falls and Chiloquin. The depot cost $5000 to build. • C. B. Cristler and Charles McGowman organize the Ewauna Box Company. • Robert Johnson organizes the Klamath Manufacturing Company. • San Evans buys out Chronicle and Pioneer papers and creates Northwestern newspaper. He invests $300,000 to build best newspaper plant outside of Portland. • Louie Alt homesteads 160 acres just east of the old sawmill on the north side of Odessa Creek. • Blackburn Sanitarium was finished at 1842 Esplanade Street. • Construction begins on Point Comfort Lodge. Plumbing fixtures show dates of 10-1912. • N.C.O. railroad reaches Lakeview by way of the Sprague River. • Siskiyou Electric was reorganized and renamed the California Oregon Power Company – COPCO. • Woman Suffrage passes in Oregon. • The City purchases the first park site in Klamath Falls, four blocks bounded by Oak, Klamath, First and third Streets. • Crater Lake National Park had 492 automobiles visit during the year – 39 arrived in one day. A total of 5,233 people visited the park during the year. • Earliest report of fish stocking in Lake of the Woods. A private party introduces rainbow trout from Spencer Creek. • Sports fishermen stop log driving on Williamson River. • Bohemian Club opens Point Comfort with a big party. • Samuel Hill, “father of good roads movement” in northwest scooped first shovelful of dirt on new Siskiyou Highway near Kingsbury Springs. • Cattle drives were still coming through Klamath Falls. • Fred Brown rides three days east to Lakrview, the nearest land office, to file his 160 acre homestead three miles north of Crystal Creek. • July 29, US Bureau of fisheries reported abundant algae growth clouding the water. • October 15, Recreation post office opens in Rocky Point area. • Southern Pacific Railroad completed to Chiloquin. • John Linman builds the “Wasp”. a 13′ x 15′ tugboat to serve the lumber industry. • Hay shipped down Wood River for Pelican Bay Lumber Co.
• Lamm Lumber Company organizes at modoc Point on the east side of Upper Klamath Lake. • February 10, Rose Poole and Maude Nail walk across ice from Odessa to Modoc Point to pick up mail. • Mt. Lassen erupts, continues for the next 3 years. • June 25, Orpheus Theater opens in Klamath Falls. • The Siskiyou tollgate, Dollarhole Station closes. • 1,200 acres drained at Algoma. • Second Brown sawmill is at the head of Crystal Creek. (1914-1925). • November, L.L Truax is president of the first Medical Association in Klamath Falls. • Colonel Holabird, agent for Southern Pacific Railroad, buys Point Comfort from Klamath Development Company. • March, City Hall opens in Klamath Falls. • Crater Lake Lodge Company is established. • Dam built on Sprague River near Chiloquin. • April 2 – Point Comfort Lodge deeded to Herbert Fleishhacker. • Northwestern newspaper goes out of business. • August 5, forty trains a day pass through kirk, north of Chiloquin. Six railroad companies work out of Kirk. Daily Shipments of 1,500,000 board feet of logs are transported over Southern Pacific railroad to Klamath Falls’ mills. • Dr. Hemenway died at Yainax Agency. • April 17 – Corner stone of Elks Temple laid. • Yainax Agency moved to Sprague River after Ben Wolford platted the town of Sprague River and he and his partner Wann built the first building there. • A carnival visits Fort Klamath. • The last big New Year’s dance is held in Fort Klamath. • January 3, Oregon goes “dry” and starts enforcing a state alcohol prohibition. • Elks temple opens with a “coasting” party of Third Street and refreshments are served inside. • George Baldwin is elected as Oregon state senator, seated in 1917. • August 25, the National Park Service was signed into law by President Woodrow Wilson. Stephen T. Mather was directly responsible. • 1916-20: Port Summers was the Klamath Agency farmer, at Modoc Point Farm Station, assisting Frank Hutto, head farmer for the reservation. Hutto was aided by his sons: Frank, Robbie and Orie. Orie was running one of the largest cattle ranches in Klamath County. • September 10, mail is hand-delivered in Klamath Falls for the first time. • October, the Medford football team fails to defeat Klamath Falls for the first time, 13 – 13 tie on Modoc Field. • November, log drives resume on Williamson River. • 175 homesteaders file for 42 tracts of land in Klamath Reclamation Project. • January – Agreement between Klamath Development Co., and Herbert Fleishhacker to maintain water supply pipeline between water tower at Harriman Lodge and Point Comfort. • Klamath Falls Municipal Railway begins laying track. • Work stopped on county courthouse at Hot Springs Addition in Klamath Falls. • Mickey Wampler brings cattle up to feed at Malone Springs because of the harsh winter, coldest in his memory. Many cattle die falling into the springs. • February 5 – Elk arrive at Fort Klamath brought by the Klamath Sportsmen’s Association and the State Fish and Game Commission. • Dr. Earl Russell Bush carves the “Lady of the Woods’ in a huge rock at Crater Lake. • April 2, USA joins World War I. • Exodus of family farms in the Wood River Valley begins. this property floods when Link River dam is built. • Klamath Reclamation Project signs an agreement with the California-Oregon Power Company (COPCO) to build and operate the Link River Dam. • Sir Meiske Smith, president of the Dutch Shell Oil Company and his entourage were in the U.S. to introduce Shell products and organize the company in this country. His lady was the daughter of Lord Mayor of Liverpool. Smith and his party camped at Idlerest on Spring Creek. • Mrs. William Immel, the White’s youngest daughter, wed a hustling young auto mechanic, then opened and operated the Sugar Bowl on Main Street in Klamath falls. She closed it this year and moved away. • An electric plant had been built at Springs and Klamath Agency now had electricity. • Miss Ruth Ball came to Klamath Agency to teach white children of that area. She taught all grades and the school was part of the Klamath School District. • John M. Bedford was the head forester at Klamath Agency. • Clepper and More started an Indian trading post in the Chiloquin area on land leased from the Indians. • 1917-18: Claudia Spink worked in the Klamath Agency as a clerk. • The first dam in the Klamath Hydroelectric Project, Copco 1, becomes operational, ending salmon runs in the Upper Klamath Basin. • March 20, Bids opened to finish courthouse at Hot Springs Addition. • A Spanish influenza epidemic breaks out, lasts two years. • Chiloquin Lumber Company is organized. • Rim Drive is completed at Crater Lake. • August 18, during a drought period a strong southwind stopped water flowing out of the lake via Link River for 6 hours. 1,000’s of suckers left dead in the channel. • Mr. Cooper transferred to Klamath Agency from Lakeview. father of two children, Forrest and Phillis. • Clark Terry, Indian Service employee, wed al local young teacher who was part Klamath Indian. • Klamath County courthouse built by architect E.E. McClaren. • The first allotments bought by white men from the Indians were on the site of Chiloquin. • Rose Poole named office manager for Klamath Development Company. Later she becomes the first woman manager of a theater on the west coast. • Ruth Ball and Herbert Radcliffe, young forester at Klamath Agency, are wed.
• Heber Radcliffe, after serving several years in the Indian Service, resigned and became dry kiln supervisor for Ewauna Box Company for the next 24 years. He would then go work at McCloud Lumber Company for another 12 years. • 1918 -19: C.C Hedrick, working for Martin brothers, built a nice home in West Chiloquin district. • Six principal logging interests on Upper Klamath Lake, five logging on west side of lake. • May, steamboat Winema is retired in drydock. • 800 acres drained at Ball Bay South. • Temporary crib dam built at head of Link River. • Soundings again taken on Upper Klamath Lake, this time at 400’ intervals. • Valley Hospital was built at 123 High Street, Klamath Falls. • Klamath Ice and Storage is organized.